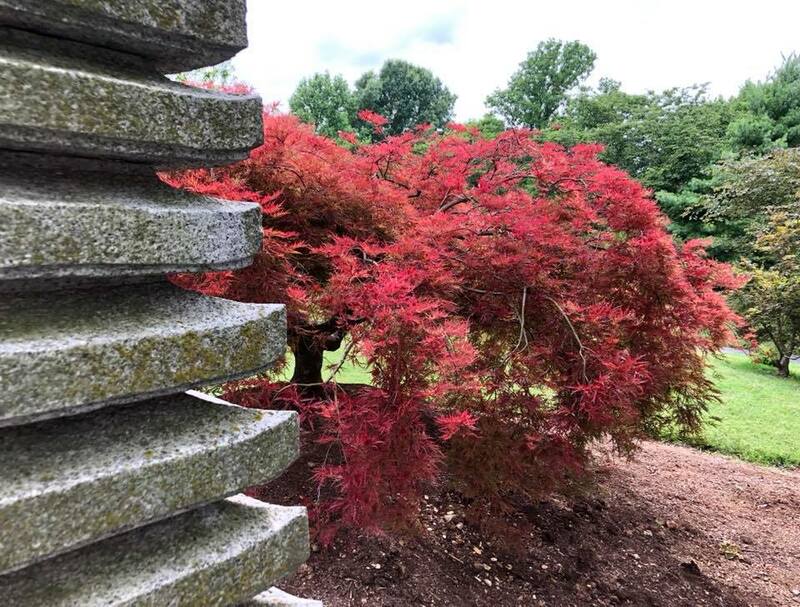 Took off yesterday with the boyfriend and some friends over to Springfield, Missouri, where we enjoyed ourselves at a favorite New Age/Witchy shop and then a beautiful park area for a picnic, frisbee, and a walk through the gardens. We topped it off with a bookstore, but today’s card comes from the first shop we visited. While my boyfriend picked up The Wild Unknown Animal Spirit deck (which is stunning), I picked up the Tarot Familiars deck by Lisa Parker. I plan to write a review of this deck later this week, but here’s a sneak peak. Meaning: A faithful and loyal person or emissary, a stranger with good intentions, or a consistent person. It could also mean indecision in preceding, resistance, instability, a gossip, or displeasure. Thistle’s Note: When I got over the fact that this cat looks like a friend’s cat, I think we see a lot of hints in the artwork here. The Wands suit is a suit of the Air element, thus intellect, communication, and inspiration are part and parcel of the suit. 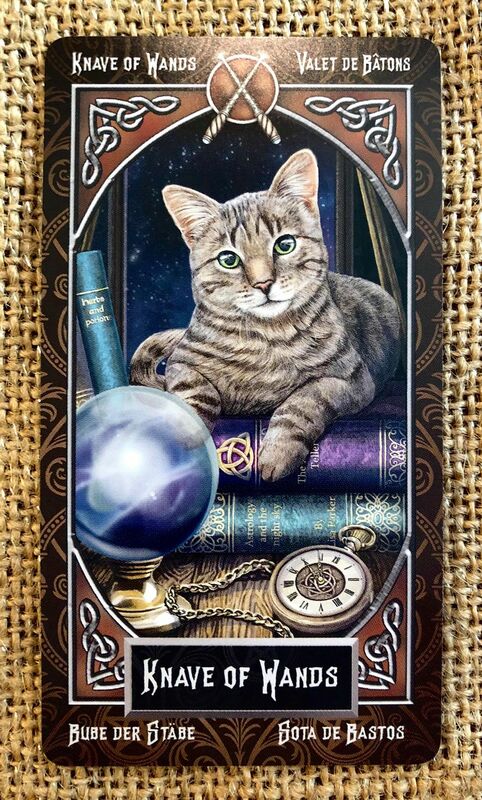 We see here a young feline balancing between the intellect (the books), intuition (the crystal ball), and understanding that time is wasting away if you become stuck in indecision (the watch). This deck’s book is pretty sparse, leaving room for personal interpretation. Are you stuck making a decision? Are you making a well-considered decision? Sometimes it is easy to become bogged down in researching something that you never act on it – or worse, not consider your gut instinct. Be sure not to waste too much time and end up with the regret of not having lived fully in fear of going down the wrong path.